If only it was that simple. Despite your best intentions, the overnight transformation from festive indulger to ultra-disciplined Olympian is something very few are able to complete - let alone maintain permanently. With an air fryer in your kitchen, sticking to a low-calorie diet doesn’t have to be a bland, dissatisfying affair. By circulating air rapidly at a high temperature (up to 200°C!) 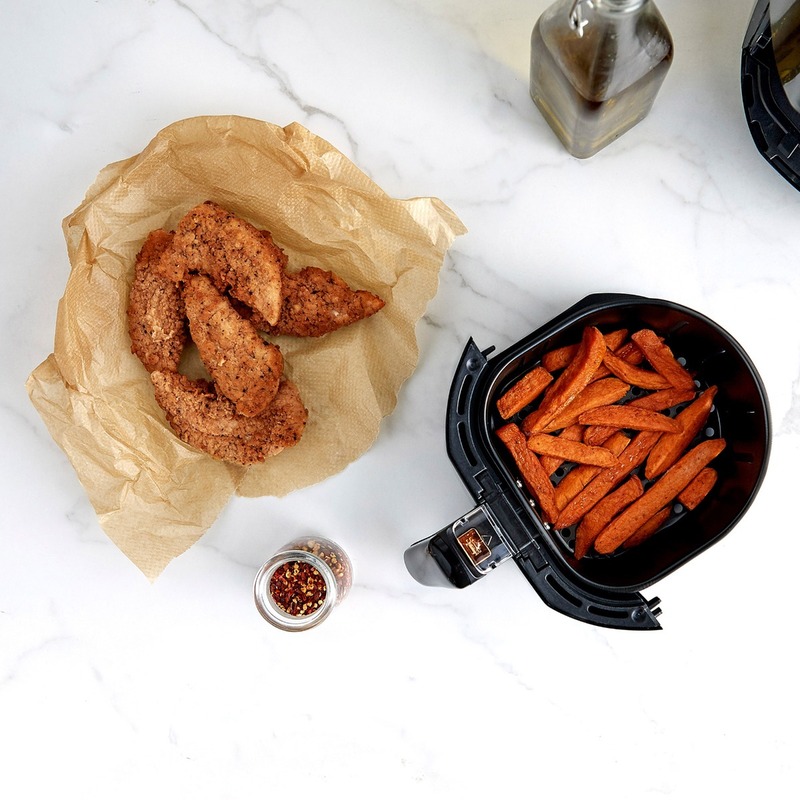 around ingredients suspended in the basket, the air fryer makes them crispy on the outside and deliciously tender on the inside - without the need for any oil! That way, you get all of the golden, piping-hot crunch of your freshly fried favourites (yes, including CHIPS!) without paying a hefty calorific price. Does that sound like a ‘diet’ you can keep up? We thought so. Read on - it gets better…. Maybe you’re not after the faux-fried experience every day? Perhaps you’d like to try baking crispy loaded potato skins, grilling corn on the cob or even roasting a joint of beef? 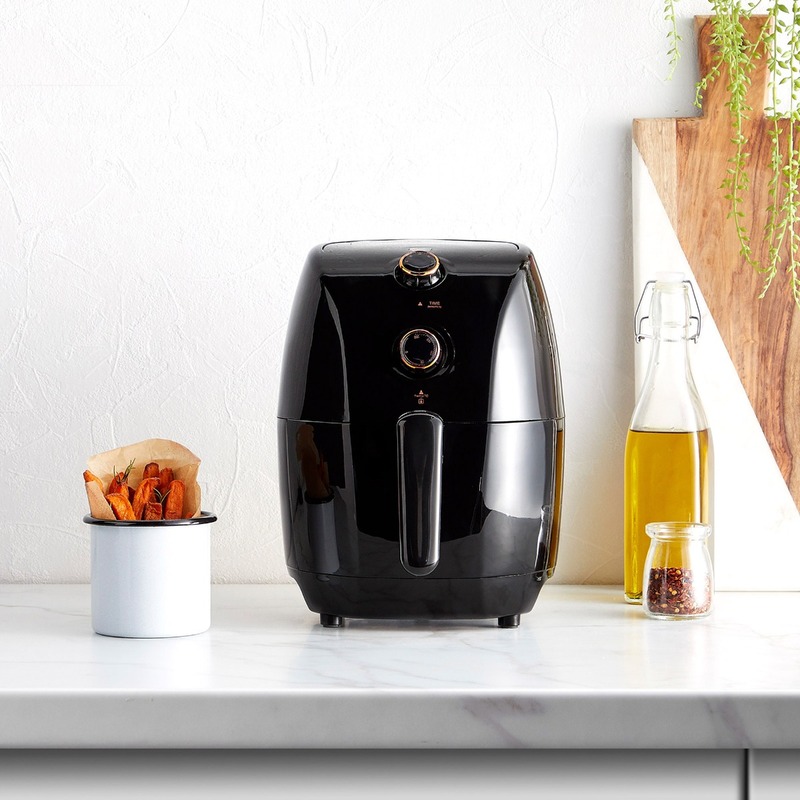 Handily, you can take advantage of the air fryer’s rapidly circulated hot air for all of your roasting, grilling and baking needs! All you need to do is adjust the thermostat anywhere between 80-200°C to suit your recipe. 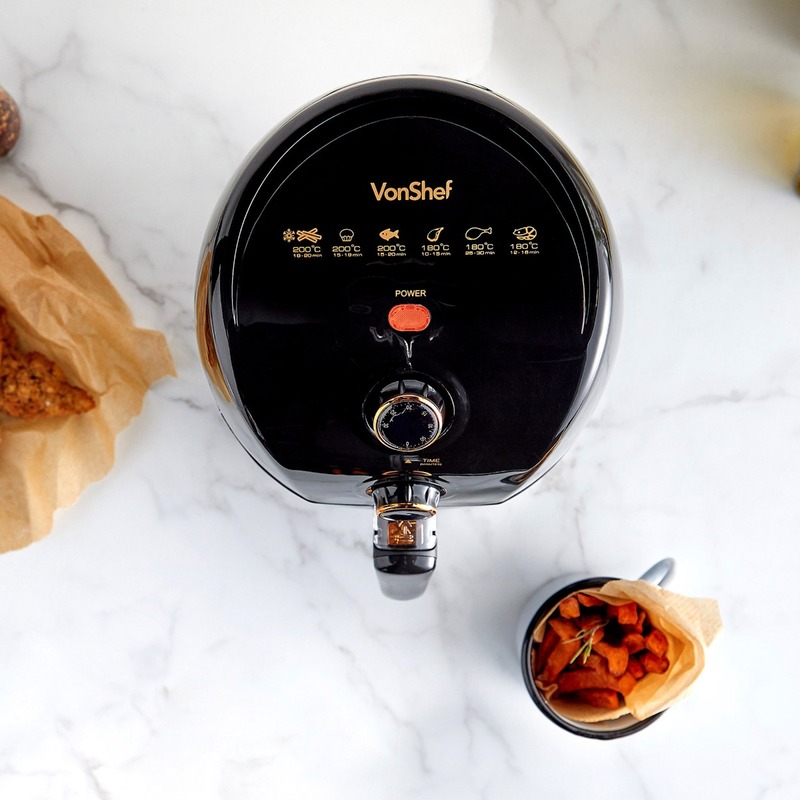 So really, the VonHaus Air Fryer should be called the VonHaus Air-Fryer-Roaster-Baker-Griller - but that doesn’t quite roll off the tongue, does it? 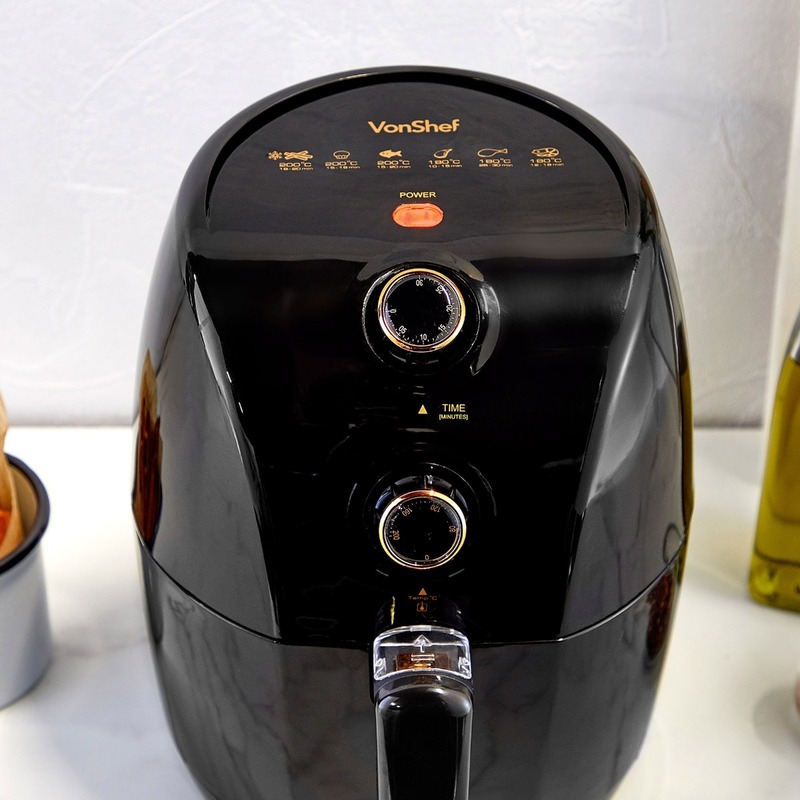 If you’re serious about making a long-lasting, permanent reduction to your calorie intake without saying farewell to the flavours you love, the VonHaus Air Fryer is the answer. Available in 3 sizes (1.5L, 3.5L & 5L), presented in sleek black housing to suit any kitchen countertop and packed with helpful features (60 minute timer, overheat protection, non-slip feet, non-stick detachable oil tray), this is the low-fat cooking all-rounder that lets you upgrade to You 2.0 without downgrading your diet.